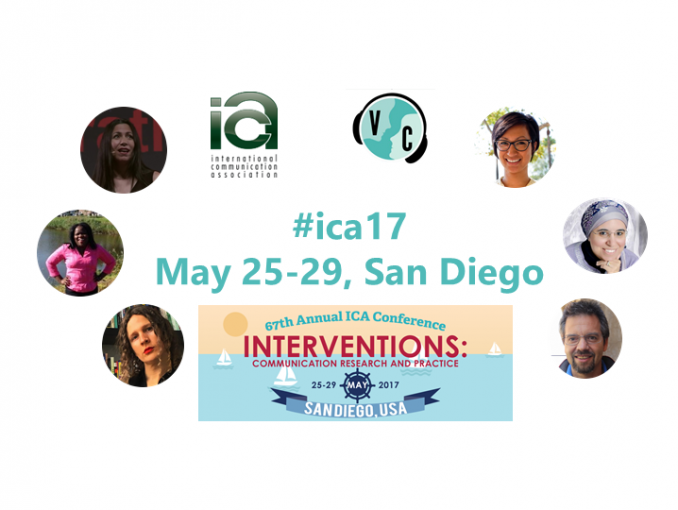 On Friday, May 26, 2017, Virtually Connecting will be present at the International Communications Association in San Diego for their annual conference, Interventions: Communication Research and Practice, which is taking place May 25-29. The session will take place on Friday, May 26th at 1 PM PDT. This time around, Virtually Connecting will be chatting with two speakers from the opening and closing plenaries, micha cárdenas (@michacardenas), Skawennati (@Skawennati), and Leah Komen (@leahkomen1), and will be hosted by two speakers from the closing plenary Anne Cong-Huyen (our on-site buddy, @anitaconchita) and Virtually Connecting celebrity Maha Bali (virtual buddy @Bali_Maha). Ken Bauer (@ken_bauer) will be our other virtual buddy for this session. To join the session, leave a comment here or send us a tweet or Direct Message on Twitter (@vconnecting). We will ask for your email address so we can send you a link ahead of the event. The opening plenary will be on Thursday, May 25 at 6PM PDT and will be livestreamed. Because of the unique work of our plenary speakers we advise you watch the livestream ahead of the Virtually Connecting session.